First race up was the World championship round where they were racing as champions elect having secured the F2 Trophy in the last round. Ben and Tom qualified for a third row start in the mixed grid of riders, the FIM F1 World championship and the FIM World F2 Trophy. The Mansfield pair were the fastest of the F2 runners and as the lights went out they moved into sixth place overall and first in class. On lap three they overtook Brian Gray on a F1 machine and held station to the chequered flag at the end of a very fast and furious 15 lap affair, taking the win in the World F2 Trophy class. In the second affair they started from the third row and completed the 10 lap race in seventh place – and a win in the 600 cup. Ben and Tom then started from the fourth row in their final race and after dicing with Walker/Hawes for a few laps they finally passed them to finish the 10 laps in sixth position overall and take their fourth win of the weekend in their own class. At the end of the day they were presented with their Gold Medals for their outstanding results in the World Trophy where they headed the qualifying charts, won every race and broke the lap record at every circuit in the F2 Trophy class – an amazing achievement for the Mansfield brothers. 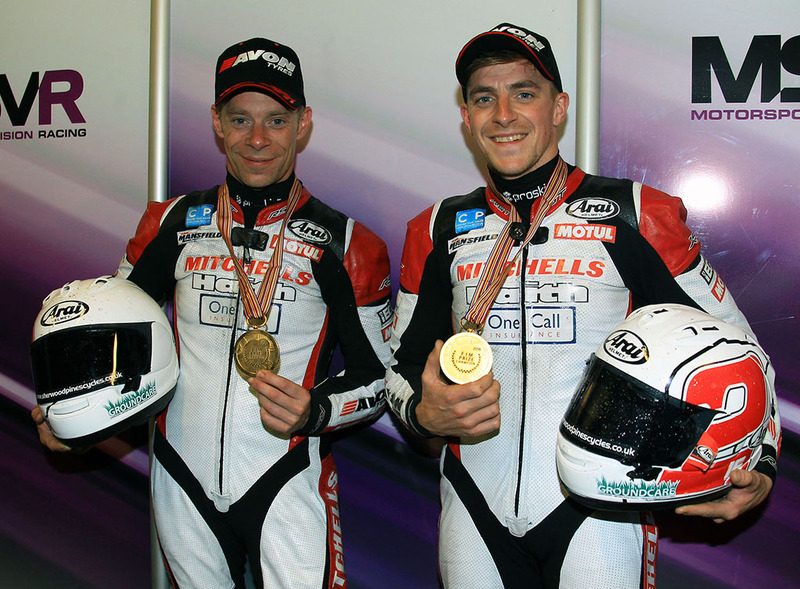 Ben said: “Tom and I plus all the team are thrilled to be presented with our world championship Gold Medals on home soil; also to secure the British 600 Sidecar Cup this weekend. It’s a great end to our season. We have to thank our sponsors and supporters for their continued support. We have so much confidence in the bike, it’s been perfect all season and the data we have gained from this season will help us when we challenge for the new format World championship and British title in 2017.